“A Day That Will Life in Infamy”: This Friday is the 77th Anniversary of the Attack on Pearl Harbor, Hawaii, USA by the Japanese. National Pearl Harbor Remembrance Day, also referred to as Pearl Harbor Remembrance Day or Pearl Harbor Day, is observed annually in the United States on December 7, to remember and honor the 2,403 citizens of the United States who were killed in the Japanese surprise attack on Pearl Harbor in Hawaii on December 7, 1941. As an added salute to our 41st President, George H. W. Bush, he enlistd in the United States Navy when this attack happened, at the age of 18. Aids Quilt Viewing: December 3 – 5, 2018 in the Auditorium. See Sydney Fisher in Wellness. Winter Concert: Tuesday, December 4, 2018 at 6:00pm in the Auditorium. Winter Concert Invitational Assembly: Wednesday at 11:00am in the Auditorium. Winter Assembly: Friday, December 7, 2018 during a double 4th period. Final Exams: December 18 – 20, 2018. Last Day of Fall Semester is Friday, December 21, 2018. Winter Break: December 24, 2018 – January 4, 2019. School resumes on Monday, January 7, 2019. Notre Dame De Namur University (NDNU): 12/05 @ 11:45am @ RM 263: Established in 1851, this is the third oldest college in California. NDNU is a Catholic, not-for-profit, coeducational university located in Belmont, which is about 15 min. of drive from SF. It has 1,000 students with dorms available. NDNU’s programs will be widely known for their innovative synthesis of liberal arts learning, professionally-oriented learning and core values. College Ambassador Meeting: 12/4 @ lunch time @ RM 263: If you want to get a head start on college preparation or applications, join this group of motivated students. College/ Scholarship Application Workshop: 12/5 & 12/6 @ 2:15pm @ RM 260: Every Wed. & Thur., you’re welcome to come work on any college and or scholarship application forms with us. We can also talk about any college related questions you may have or need help on. Snacks provided. College Application Workshop: uAspire can help you with financial aid related questions now and during college years for free. Please turn in your consent form to RM 209 ASAP. 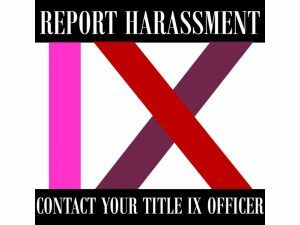 You can pick up a consent form in the Counseling Center or in RM 209. SCHOOL TOURS AND SHADOWING: Began Tuesday, October 23, 2018, and run through December 4, 2018. School Tours will begin in the auditorium at 8:30am. Shadowing will begin with Galileo students and visiting students at 8:00am and will either be half day (over at 12:20pm) or full day (over at 3:10pm). Please welcome our visiting students into your classrooms.